Need a custom, animated explainer video? An animated stinger of your logo? Do you want to produce an entire animated short—or just craft detailed storyboards for your next video spot? I’ve done everything from character design, storyboards, and entire videos from start to finish (narration included). Plus, as an independent animator, I can deliver a completed video to you for far less than a studio with fancy downtown offices to pay for. 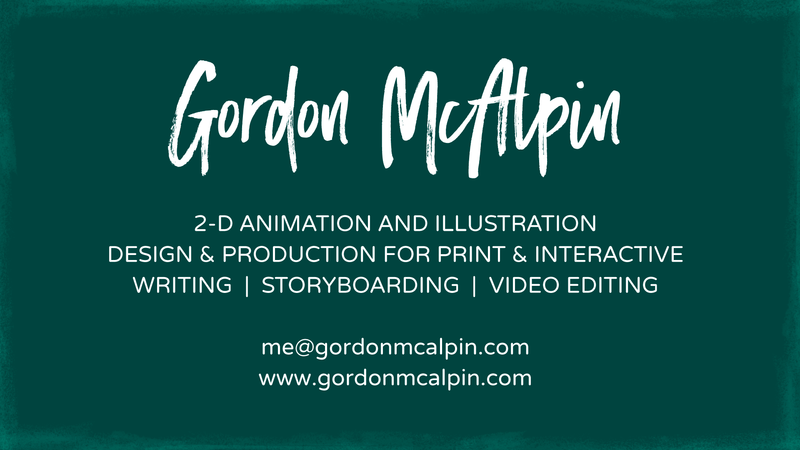 You can find more examples of my award-winning animation and video work in the Portfolio section, or contact me to discuss your project!